Contamination by infections is a common problem that occurs in nursing homes throughout the United States. Often times, elderly individuals have weakened immune systems and their advanced age makes some highly susceptible to developing infections or acquiring infection through the spread of contaminants in the enclosed environment. Sadly, the Wheaton elder abuse attorneys at Rosenfeld Injury Lawyers LLC have handled many cases where nursing home residents have suffered life-threatening infections that could have been prevented had the nursing staff taken appropriate measures and followed established protocols. The most common types of infectious contaminant diseases occurring in nursing facilities include soft tissue and skin infections, urinary tract infections, respiratory system infections vascular infection and gastrointestinal contamination. The types of infections often involve MRSA (Methicillin-Resistant Staphylococcus Aureus), sepsis (blood infection), osteomyelitis (bone infection), scabies and influenza (the flu). On an annual basis, the federal government and the state of Illinois routinely update their nursing home databases to reflect the most current opened investigations, filed complaints, health violations and safety concerns at facilities nationwide. The updated information is then posted on various websites across the United States including on Medicare.gov through their comparative star rating summary system. 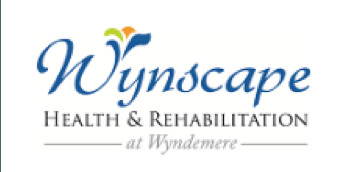 If you suspect your loved one has suffered from an infectious outbreak while residing in any nursing facility in Illinois including Wynscape Health and Rehabilitation Center, Rosenfeld Injury Lawyers LLC can take immediate action to hold those responsible legally accountable. Our DuPage County elder abuse attorneys can gather evidence and review your case to determine if the outbreak could have been prevented and assist you in seeking the financial compensation you deserve due to the negligence of the nursing staff. To successfully resolve your financial recompense case, we urge you to contact our Wheaton Illinois nursing home abuse law firm today at (888) 424-5757 to schedule a no obligation, free full case private consultation. We accept all cases on contingency and are only paid for our fees after we win your case at trial or negotiate an acceptable out of court settlement on your behalf.